Winter started out with freezing temperatures, but it's been quite nice lately not having to wear more than a heavy sweater. We are desperate for rain in a drought, a bad one. It rained a tiny bit yesterday but did not amount to anything. There has not been a lot of snow in the Sierra Mountains yet this year either which means the spring run off will not produce much. Folsom lake is drying up. We send a good portion of water to Southern CA, I wonder what we will do, I am a little worried about the water situation, but I am reminded of Mather 6:26 which says don't worry. A favorite verse of mine, instead lets pray for rain! 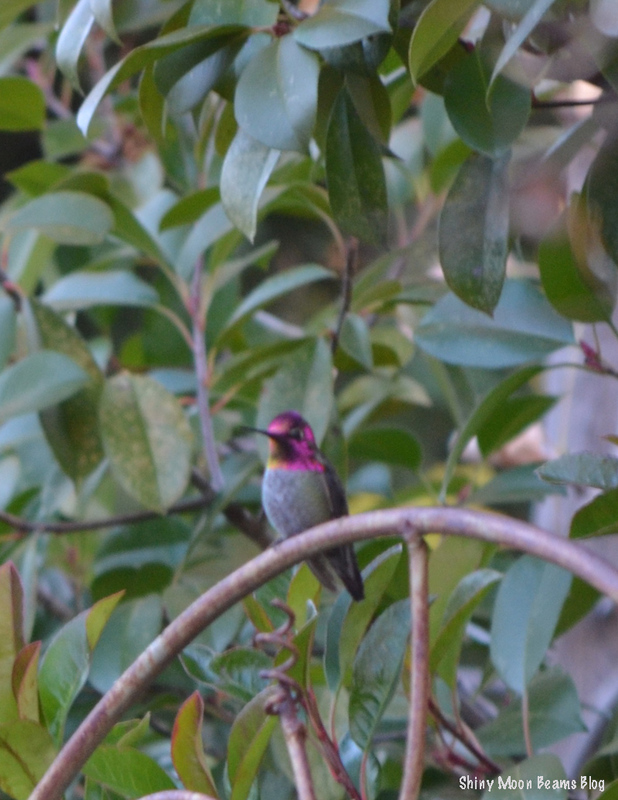 I have captured some lovely photos of hummingbirds, I believe this is a Anna's Hummingbird. 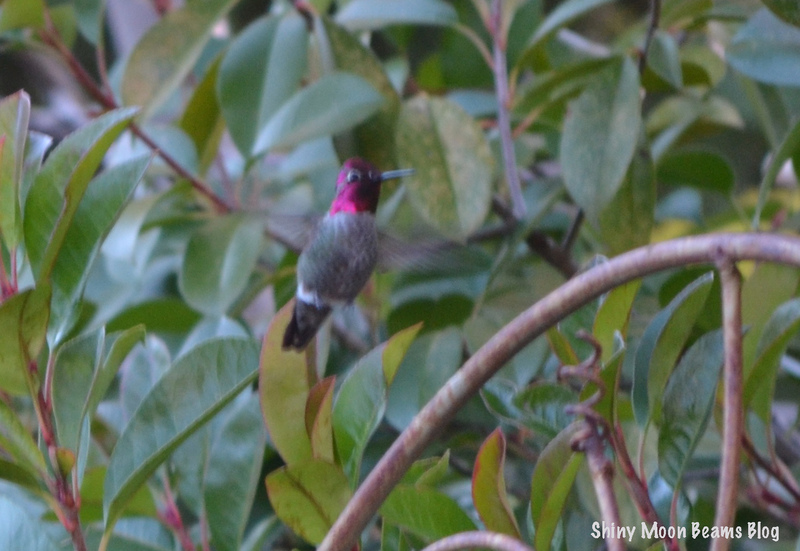 Observed in Alabama, Alaska, Arizona, Arkansas, California, Colorado, Florida, Georgia, Idaho, Kansas, Louisiana, Mississippi, Missouri, Montana, Nevada, New Mexico, Oregon, Pennsylvania, Tennessee, Texas, Utah, Washington, and British Columbia (resident on Vancouver Island). 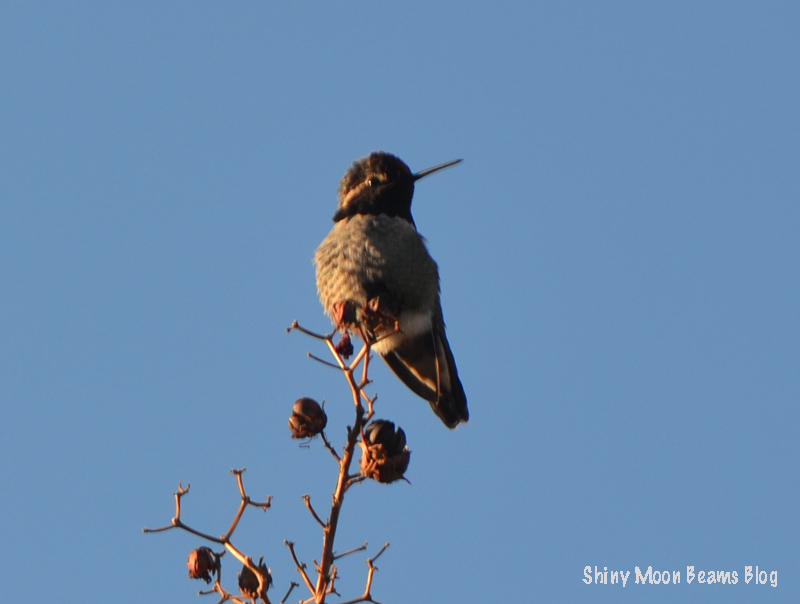 Unlike most other hummers, Anna's has a (minimal) song. Which makes me want to get the sound of the hummer now and our owl. I wish I could capture a photo of our owl and woodpecker. 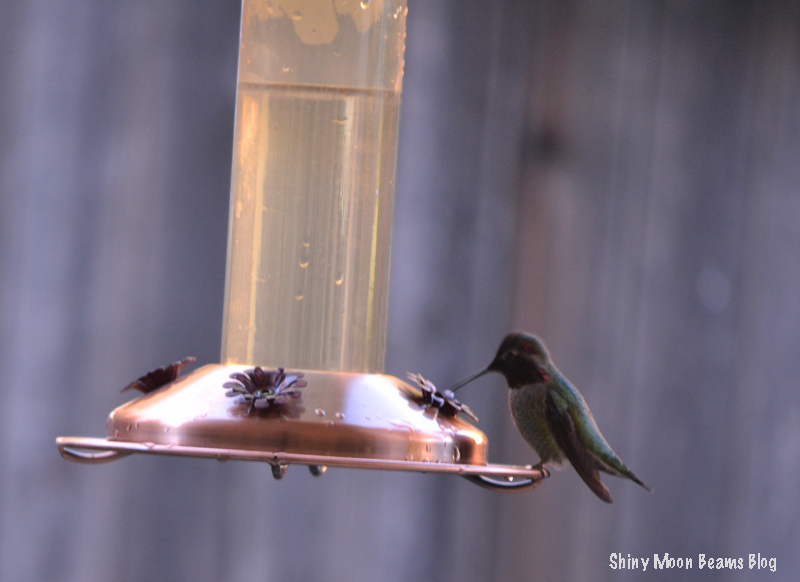 About Hummingbirds I love birds so much, they are one of my favorite species, so interesting to watch them. 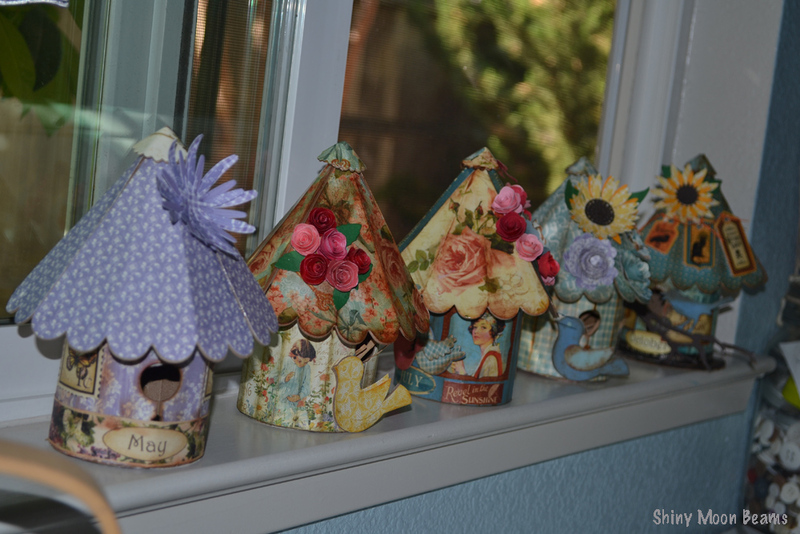 My last photo is of a bunch of Bird Houses I made with Paper and Cardboard. I posted a few, but here is all the ones I have made so far. I need to finish the other ones I have planned. Sorry to hear you have a lack of rain, you could have used the 15 inches of snow we got last week. 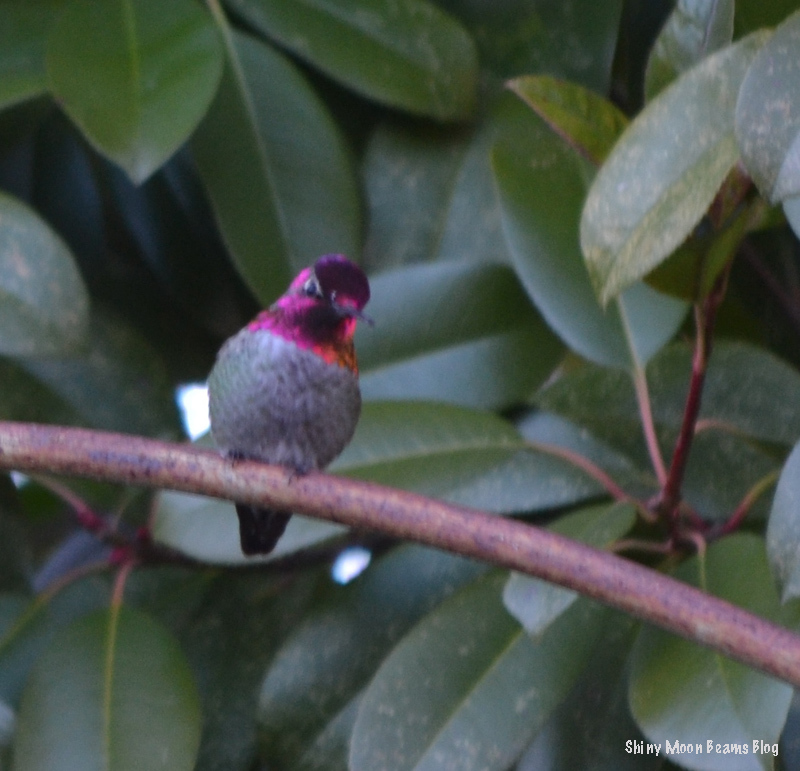 Love your pictures of the birds, they are so pretty to watch. Your display of bird houses are so pretty!! 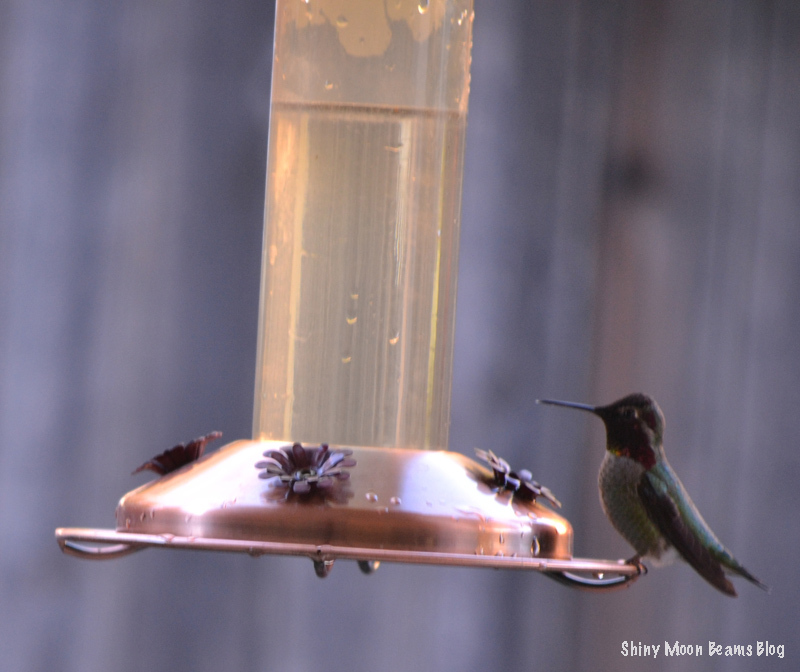 I love, love the photo of the hummingbird we have several feeders and always look forward to seeing them. that one is gorgeous. I hope you get rain soon and often! Those birds are beautiful and the houses are just so sweet. Have a lovely weekend Kat!